Can't afford that around the world ticket quite yet? You're not alone, as the average $4,000 cost for a RTW ticket an put most people off who haven't extensively planned for it. Then there's the lodging, food and, well, lots of other things. So while you're saving up to go globetrotting on the ultimate adventure, try out some of these books to help keep the wanderlust stoked. You can even put them on a Kindle and bring them with you. 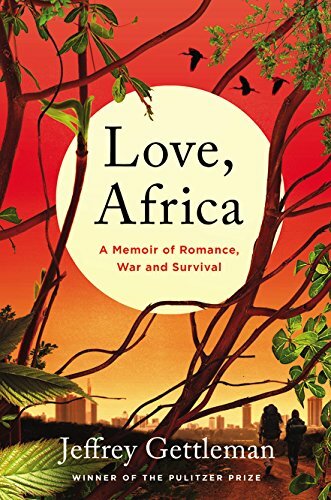 Pulitzer Prize winning New York Times writer Jeffrey Gettleman takes us on a trip into the life of an East African Bureau chief in Love, Africa: A Memoir of Romance, War and Survival. Gettleman spends most of the book talking about his two loves; Africa and his wife Courtenay. Part memoir of a foreign correspondent and part journal of a marriage taking place at different times on different continents, you can sense the push-pull that often comes with having multiple passions. Those looking for an analytical look at modern day Africa may be a bit disappointed as Gettleman leaves his journalistic tendencies at work in favor of a more rambling, story based memoir. What you miss out on in analysis, though, is more than made up for in the spirited adventures that take place against the backdrop of Kenya, the Democratic Republic of Congo and more. Okay so Antarctica may not be on everyone's list for a RTW trip, but it's still a continent. 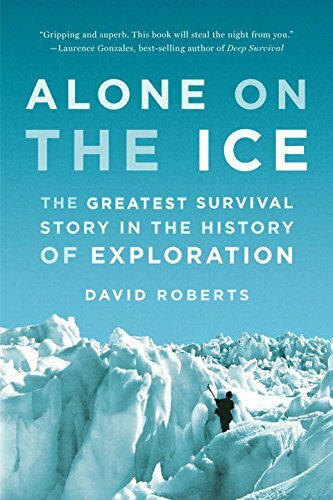 Alone on the Ice: The Greatest Survival Story in the History of Exploration recounts the unbelievable story of Douglass Mawson 100-mile solo journey to get back to his team at the Australasian Antarctic Expedition in 1913. Throughout the book you get to experience life on the ice via some never before seen photographs from Frank Hurley. One of only three that had left the camp three months earlier, Mawson battled blinding wind, snow, and starvation as he walked for 31 days, most of that with no companions. The fact that Mawson made it back to camp alive, even if he was almost unrecognizable, is a testament to the human will to survive in even the harshest of conditions. If adventure survival thrillers are what you like, Alone on the Ice will not disappoint. The Asian continent is vast. Like it holds some 4.4 billion people kind of vast. In From the Ruins of Empire: The Revolt Against the West and the Remaking of Asia, Indian essayist and novelist Pankaj Mishra looks at the forces and ideas that shaped modern day China, India, and a majority of the Muslim world by highlighting three people; Jamal al-Din al-Afghani; Chinese reformer Liang Qichao; and poet and Nobel laureate Rabindranath Tagore. 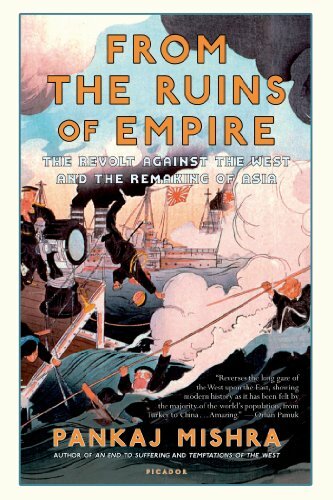 A timely book, Mishra has given a beautiful and accessible account of the "intellectual and political awakening of Asia" as colonial empires fell. A great read for those that like to keep up with current events and anyone wanting to visit China, India or the Middle East. Ever wanted to set out on a 1,700-mile journey across the Australian outback with four camels and a dog? Well, Robyn Davidson's Tracks might be the book for you. In 1977 Davidson started her journey from Alice Springs to cross the dessert of West Australia. The motivation for her journey isn't quite clear, which may be one of the reasons Tracks is so appealing. It seems that Davidson sought adventure for adventure's sake. There's no jilted lover story or mid-life crisis, just a strong, independent woman who saw a challenge and accepted it. The fact that she spent nearly two years preparing the camels for the trip shows the shear determination of Davidson. 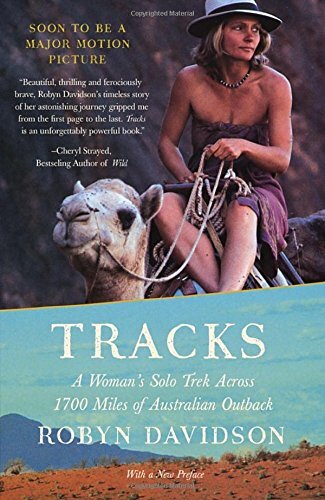 As an added bonus, you can check out the photo book Inside Tracks: Robyn Davidson's Solo Journey Across the Outback by photographer Rick Smolan, who met Davidson three times on her nine-month journey. They even made a film adaption in 2013 starring Mia Wasikowska and Adam Driver. 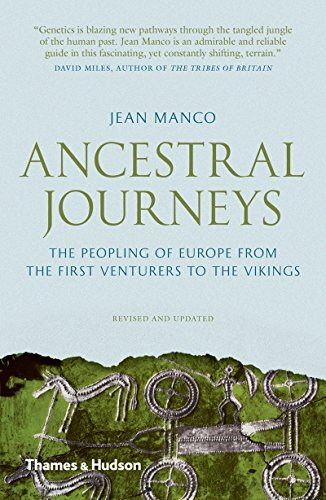 I'm a Europhile so when I found Ancestral Journeys: The Peopling of Europe from the First Venturers to the Vikings by Jean Manco, I was hooked. I've spent countless hours digging through genealogy records to find out what part of England my family is from so any book that works backwards focusing on new research to find out exactly where Europeans come from is perfect for me. As a continent, Europe is usually subdivided in genres so finding a book that represented the whole was challenging. By looking to the past and understanding the roots of where each subset of European civilization came from, we can better understand the Europe of today. Equal parts archaeology, history, linguistics and genetics, Ancestral Journeys will make you want to dig deeper into your own family history, no matter what continent they came from. 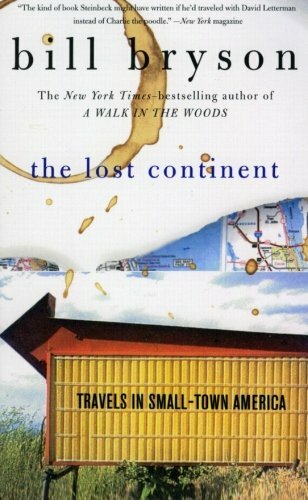 Enough has been written about big cities like Chicago, Los Angeles and New York City so for a change of pace, pick up The Lost Continent: Travels in Small-Town America by Bill Bryson. A meandering chronicle as Bryson traveled (travelled if you're British) 14,000 miles on a road trip in search of the "true America" in the late 1980s, any fan of Theroux will be right at home. With an ever changing geography in cities, small towns and rural areas may seem more familiar in Bryson's account. A native of Iowa, Bryson had lived in England for almost ten years before the epic American road-trip that became The Lost Continent. As travel writing goes, this one ranks right up there with the modern greats. It'll make you wonder if''Missouri looked precisely the same as Illinois, which had looked precisely the same as Iowa.'' It'll also make you want to gas up your car (or charge your Tesla) and hit the open road. 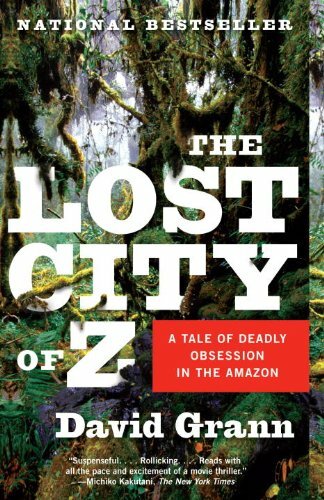 In The Lost City of Z: A Tale of Deadly Obsession in the Amazon, David Grann tells the story of British explorer Percy Fawcett in 1925 who, along with his son, disappeared into the Amazon in search of an ancient city. Grann journeys into the same rainforest as he tries to retrace the fateful steps of Fawcett and son and unravel the mystery left behind. Part Indiana Jones and part Unsolved Mysteries, The Lost City of Z will captivate you as Grann looks at new archeological evidence to find out if the city Fawcett and his son were searching for actually existed. A great read for any lover of history, mystery and adventure. What books would you recommend for each continent? Let us know in the comments below.